Winter often means dry, irritated skin. My mother-in-law, who washes her hands often at work, called me a few weeks ago, lamenting over her cracked fingers and dry skin. 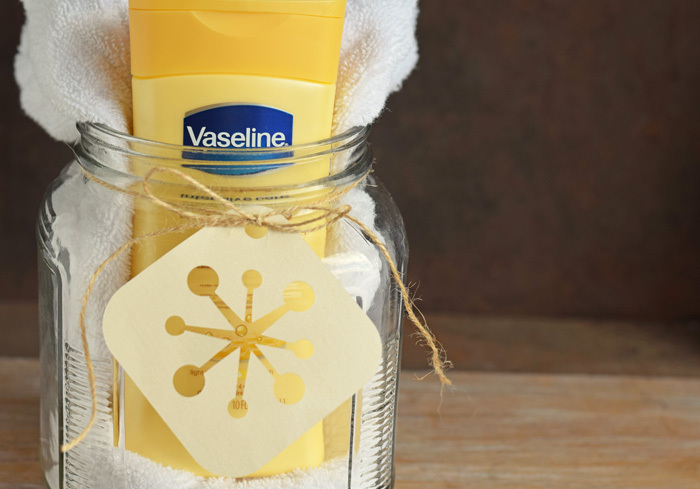 Today, I’m partnering with Vaseline® Intensive Care™ Essential Healing Lotion to create a Skincare Gift Jar for her to help combat the winter elements! The jar is actually a cookie jar. Even wide-mouth mason jars were not large enough at the top to fit the Vaseline® Intensive Care™ Essential Healing Lotion and a towel. A wide mouth glass cookie jar is perfect! I then added the items to the jar. I purchased a new white hand towel and our family’s go to lotion- Vaseline® Intensive Care™ Essential Healing Lotion. 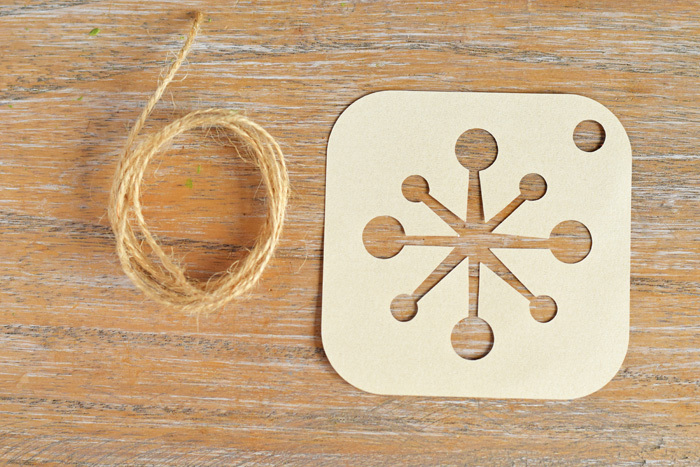 To create the snowflake gift tag, I cut a rounded square (with a snowflake inside) with my Cricut Explore Air 2. I added the small circle in the left hand corner so that I could place twine through the tag without dragging out the hole punch. I cut the gift tag on pearl paper. Pearl paper has a nice shimmer that looks pretty on gifts. I cut a length of twine that would fit around the mouth of the cookie jar at least one time. I added the snowflake gift tag and tied the twine in a bow. My boys began complaining of “itchy knees” a few weeks ago. January brings dry air to the south that can irritate any skin type. 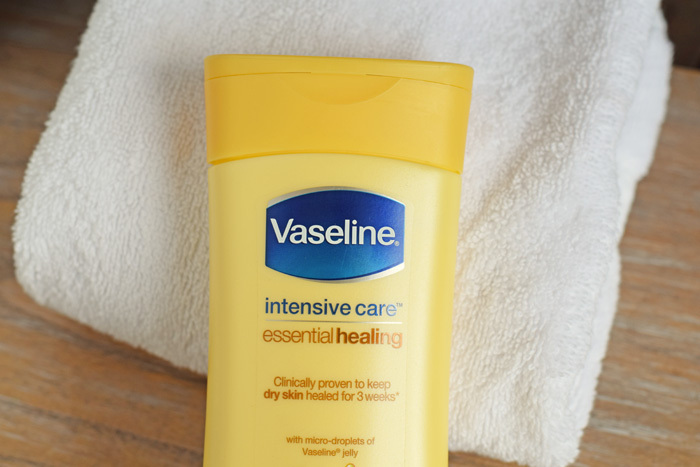 We’ve been using Vaseline® Intensive Care™ Essential Healing Lotion since. 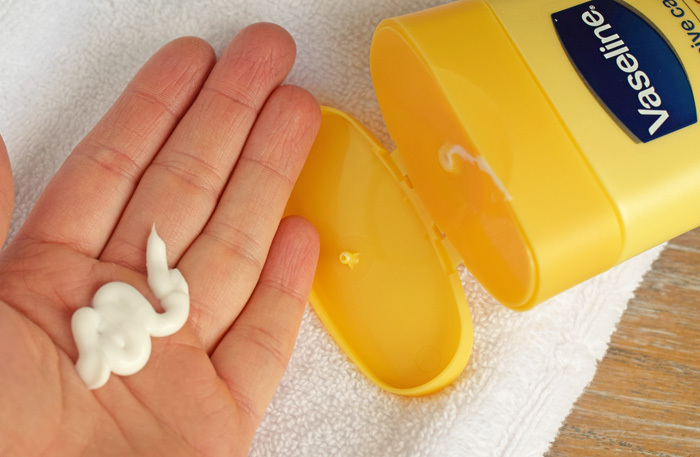 Vaseline® Intensive Care™ Essential Healing Lotion leaves skin deeply moisturized and looking noticeably healthier. The deep healing moisturizers include Vaseline® jelly, helping dry skin to absorb the Vaseline® Intensive Care™ Essential Healing Lotion. 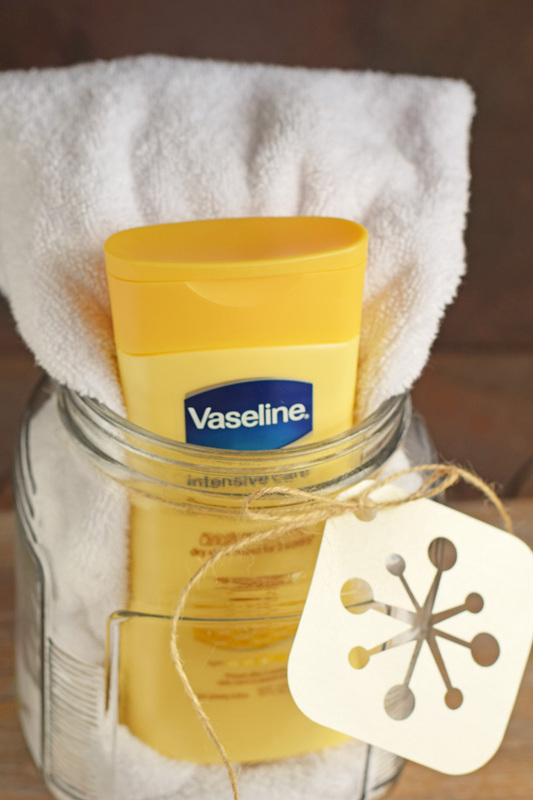 Stock up on Vaseline® Intensive Care® lotions at Walmart to have enough for the family daily. 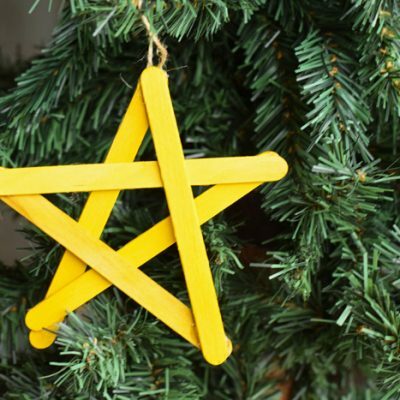 OMG I love the snowflake tag…such a creative idea. What a great gift idea! Winters are brutal and my skin is always so try! I know some friends that would definitely appreciate this! Thats a great gift idea! My hands always get so dry this time of year! Now that is a cute idea!! Super cute tag! This is a great gift that it truly usable! I never had to deal with dry skin, but lately it’s been awful! I’ll give Vaseline lotion a try! Adorable snowflake gift card! This is a wonderful gift idea. Maybe I’ll give it to myself for my birthday. 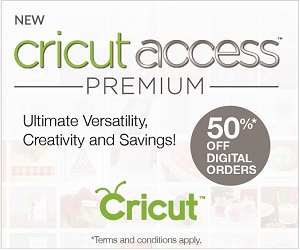 I want a cricut machine!! It looks like there are so many fun things you can create with it! I certainly would be happy to receive such a thoughtful and USEFUL gift! I love the idea so much! 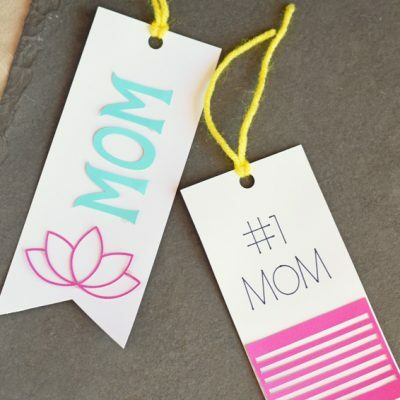 Especially the cute little gift tag! 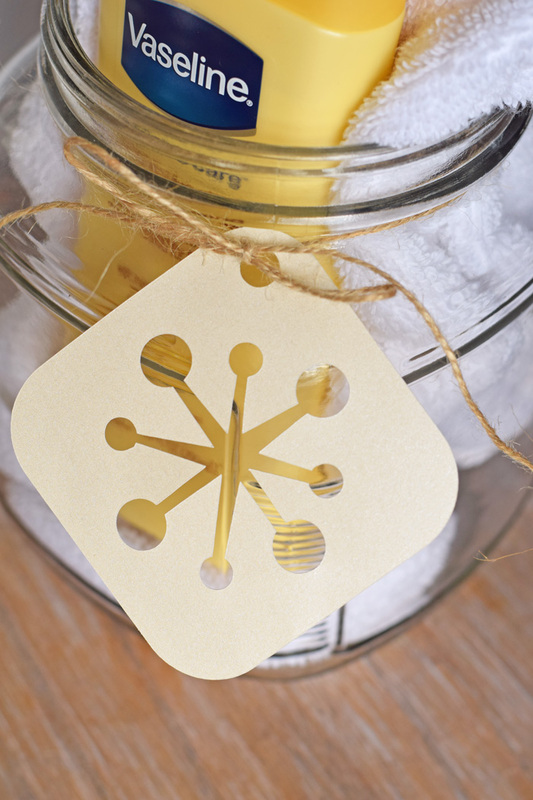 I really love the little snowflake tag it adds a nice touch to the jar. This is a very cute and simple gift for someone especially if you don’t know what to get them or they are hard to shop for. Such a cute tag! We have such issues with dry skin in our house in the winter, we will have to try out this lotion. This is a super creative idea! 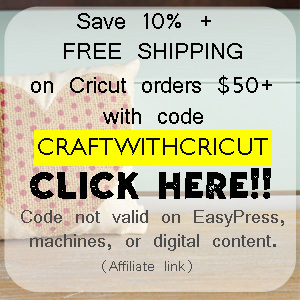 Cute tag and great gift idea! 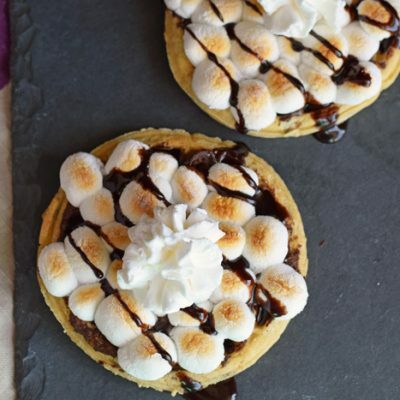 This is SUCH a great gift idea! Especially in this cold winter weather when skin is dry! 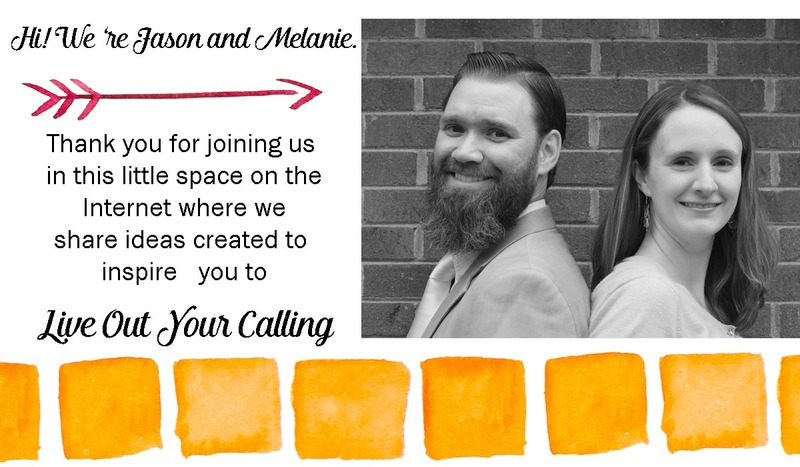 This is such a wonderful gift idea that everybody can use!